The women who make up the McKay Manor Musers is the focus of our designer spotlight this time. I recently got a chance to get to know more about Sheila McKay, the mother of this mother-daughter team. Quiltwoman.com (QW)- Where did the name McKay Manor Musers come from? Sheila McKay (SM) – If you happened to get our answering machine when the girls were growing up, you would get the recording – “You’ve reached the McKay Manor – leave us a message after the beep”. As for the rest of the name, in Greek mythology the Muses were the nine daughters of Zeus and Mnemosyne, believed to embody literature, science, and the arts, thus the goddesses were credited with inspiring creativity, knowledge, and skill. A Muser is someone who inspires creativity in artisans, and an artisan is someone who is skilled at a craft. We believe that inspiration is everywhere and everyone can be an artisan. Our business may be new, but our love of everything crafty goes back for years. We hope our patterns and projects can inspire you and ignite your creative spark. QW- What specific roles do each of you play in the company? SM- Kira and Kayla are the design experts and have really mastered Adobe Illustrator and InDesign – so they create all the drawings and layouts for our patterns. Kira really has a knack for color and design so we rely on her to choose the fabrics for our designs. Kayla is the doodler – and the one that comes up with all the whimsical animals – she is also our web master and Pinterest queen. Sheila has the MBA so she runs the business end and is still trying to figure out how to turn a profit. We all love photography so we take turns photographing the products for our pattern covers and our website. QW- Not only are you pattern designers, you also teach. What else do you do? SM- Kira and Kayla started ‘teaching’ when they were probably in middle school or high school. We were raising money for our Girl Scout troop and they taught community education crafting classes ranging from knitting to origami to beading. We also took items we had created to craft fairs – By the end of their Senior year, they had earned enough to go on a cruise – the ‘reward’ for earning their Girl Scout Gold Awards. I still work full-time for Hewlett-Packard gathering and sharing shopper insights for technology products like PCs, Printers and supplies and run the business in my ‘spare time’. QW- Tell us about your new book. What makes it unique? 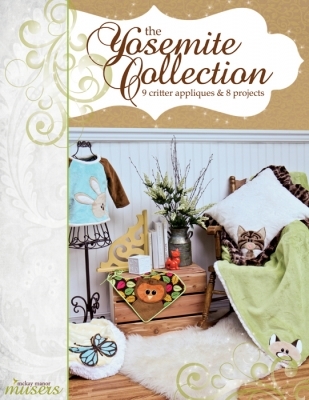 SM– One of our first set of patterns was called the critter corner collection. Kira and I visited Yosemite National Park when she was pregnant with her first child and we fell in love with the Park. 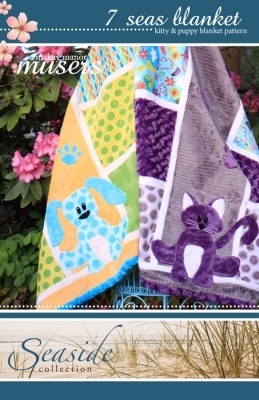 Our first patterns were designed after places in the park – it was called the critter corner collection – basically it was little critters peeking out of the corners of blankets. For example, we had Tioga the bobcat named after Tioga Pass and Tuolumne the Pika (pronounced Two-all-a-me) named after Tuolumne meadows in the NE corner of the park – they are the cutest little animal – kind of a cross between a bunny and a mouse – I actually saw a couple of them last time we hiked up there. We released nine critter corner patterns and when we were at a show in California we had a couple people who bought all of them – at $9 a piece that was very expensive. She suggested that we put all of them in a book, which we titled Yosemite Collection, so we did – and we created new projects to put them on. In the book you will find directions for the original blanket, a bib, a cross-body bag, a knapsack, a pillow, a quilt, a shirt and a three sizes of a tote. We also put together one large blanket with all nine critters. QW- What advice would you give someone who wants to write a book? SM– Go for it – based it off of a collection of products with something in common. Base it off of customer demand. It was a great learning experience for us – we had never published a book so we learned a lot. Kira and Kayla bought all the props – many of them at the local thrift store and then they prepped them or painted them to look really cool. Then they took all the photos and Kayla used her mad design skills to create the whole book. You are always welcome to contact us with questions – just use the contact us form on our website. QW- What would your perfect day be like? Who would you spend it with? What would you do? Where would you go? SM- Wow – I would definitely head to one of our National Parks – they truly are America’s treasures. I would take as many of my friends and family as possible and of course my camera and I would immerse myself in the experience. I would capture as many new and powerful pictures as possible and when I got home I would create a photobook or a slideshow to share with all the people that came with me. To order McKay Manor Musers new book an introductory price of $15.00 ($5.00 off the regular price), click here. I hope you enjoyed my interview with McKay Manor Muses. 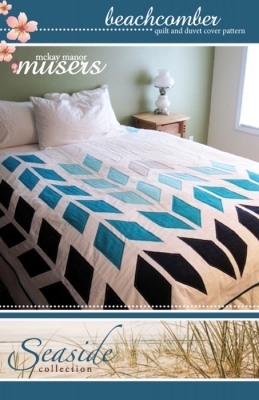 This entry was posted in Books, Designers, Publications, QuiltWoman and tagged mckay manor musers, quilt patterns, QuiltWoman.com, sheila mckay, the yosemite collection. Bookmark the permalink. We are interested in your wholesale information. We own a large quilt store in Lewisville, TX. Also if you have an application for us please send it along.